Sports Costs > How Much Does a Snowboard Cost? How Much Does a Snowboard Cost? The cost of a snowboard is only one of the many costs with snowboarding. Snowboards are different than skis in many ways, including the artistic style. For example, most snowboards are much more highly decorated than skis and many boards also have signatures of famous snowboarders from around the world. How much are typical snowboard prices? A child’s recreational snowboard, which can be used almost like a sled, will cost about $30 to $60. These snowboards do not need special boots – they simply strap to your child’s feet. For example, the Snowboogie 95cm can retail for $30. A new adult snowboard can cost $100 to $1000. The difference in price is based mostly on the quality and manufacturer of the board. At Pro Board Shop, for example, a women’s Avalanche Le Femme will cost about $160 while a men’s Burton Vapor 157 will cost $900. A woman’s snowboard will cost anywhere from $160 to as much as $500 for a higher end, while a men’s board is going to cost $200 to as much as $1,000. Customized boards with customized art and a specific style can start at $500. This will all depend on the company performing the customization job. 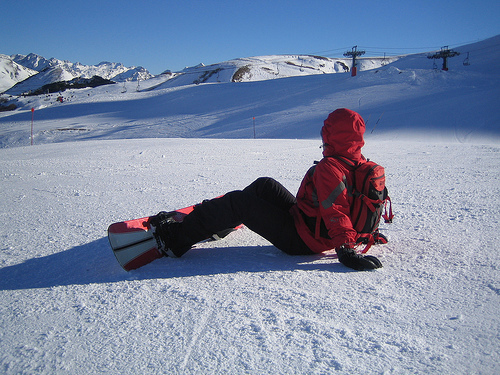 While most skis come with the bindings necessary to connect the boots, snowboards do not. Bindings must be purchased separately. A snowboard binding will cost about $100 to $175 for a very basic pair. There are many accessories you will need when snowboarding such as gloves ($30 to $60), goggles ($30 to $50), outwear ($100~), a helmet ($50 to $125) and boots ($125 to $225). While optional, a bag is ideal for those who want to protect their boards during transport or during the offseason. Lift tickets, depending on the location, can cost up to $100 for the day. Shipping a snowboard, depending on the location, can cost as little as $20 to more than $100. Most of the time, this will be cheaper than checking it in as luggage on an airline. Some maintenance, such as a wax and edge, can cost $20 to $30. A tuneup cost can cost about $30 to $50, depending on the amount of work that needs to be done. Find out what kind of riding style you prefer. Common riding styles are going to include freestyle. Unless you’re an advanced snowboarder, it’s ideal to stick to this kind of riding style. If you’re a beginner with the sport, consider choosing a board that is smaller. Beginners tend to have an easier time with boards that are shorter in length. One of the main reasons is that it gives them a better “maneuverability” feel. The stiffness of the board is going to give the rider a sense of turning. Beginners should always choose to go with a board that is softer. If you’re unsure of what kind of board you want, consider talking with a local shop. This is going to give you a better understanding of what’s going to work for you as well as give you a good idea of how the board is going to fit. Always consider purchasing your board in person. Consider demoing the board before purchasing it. Many shops will be more than happy to allow you to try one out. Just like a car or a bike, each one is going to have its own feel. The board should come up to between your chin and forehead area. When your feet on the board, they should be flush with the edge and shouldn’t hang over the side. Buying snowboards and snowboard equipment at the end of the snowboarding season can save you a lot of money. Look for year-end shopping sales at most major retailers or even online. Buying a used snowboard on Amazon, eBay, and Craig’s List can also save a lot of money. Oftentime, you may be able to find a previous snowboard unload all of their equipment in one listing. This is a great way to pick up the bindings, boots, goggles and more. If you are not sure whether you are going to enjoy snowboarding, you can rent the equipment the first time to see if you enjoy it. Most ski lifts allow you to rent snowboards for about $30 to $60 for the day.